(MoneyWatch) Are we ready for a mortgage market without Freddie Mac and Fannie Mae? The Bipartisan Policy Center, based in Washington, D.C., says we should be. It recommended a number of federal housing policy changes in a report released this morning, including the near erasure of government-backed lending and encouraging more private lending to credit-worthy homebuyers. The report, "Housing America's Future: New Directions for National Policy," set out guidelines to establish a number of policies designed to rebuild the private mortgage market and provide better access to housing for homebuyers and renters. Chief among the recommendations was eliminating government-sponsored enterprises Fannie Mae and Freddie Mac and replacing them with a completely government-owned entity called the Public Guarantor. This new entity would operate similar to Ginnie Mae, guaranteeing the timely payment of principal and interest payments on residential mortgages without buying or selling mortgages or issuing mortgage-backed securities. While it was necessary for the government to step in when the market collapsed about five years ago, the government's current role in financing housing has ballooned beyond what is sustainable, the commission argued. And in fact Fannie Mae, Freddie Mac or the Federal Housing Authority now support 90 percent of single-family mortgages, a business model that "has failed and should not be repeated," according to the report, a statement backed by recent news that the FHA faces billions of dollars in potential losses for the first time in its nearly 80-year history. But the process of transitioning from a government-dominated mortgage system to a private one will take between five and ten years and include several steps along the way. "It's not going to be a radical dramatic change," said commission co-chair Mel Martinez, a former Republican senator from Florida, who is also a former secretary of the U.S. Department of Housing and Urban Development. The federal government would reduce the size of the GSE portfolios, move pricing structures closer to what one might find when private capital is at risk and lower GSE loan limits so that bigger loans do not qualify for a government guarantee and are moved instead to the private market. "Far more private risk-bearing capital must flow into our nation's system," Martinez said during the press conference. The government's role through the Public Guarantor would provide a limited guarantee for catastrophic risk, the likes of which we've only seen in the recent housing crash. The government's role in guaranteeing mortgage-backed securities would only be triggered after all private equity is wiped out. "Our new model clearly delineates the respective roles of the government and the private sector, and establishes a clear expectation that private firms suffer the consequences of poor business decisions by losing their capital, with no bailout for private shareholders or bondholders," the report states. This government-guaranteed money would also come from a pre-established fund, not money allocated by Congress in an emergency, Martinez said. Furthermore, the commission wants to see the FHA move back toward its traditional mission of primarily serving first-time homebuyers who don't have enough money for a sizable down payment and have limited access to housing. In the report, the commission also expresses concern that far too many creditworthy people are being denied housing due to overly strict underwriting standards. "The credit pendulum has swung from one extreme to the other," said commission co-chair, George J. Mitchell, a former Democratic senator from Maine. 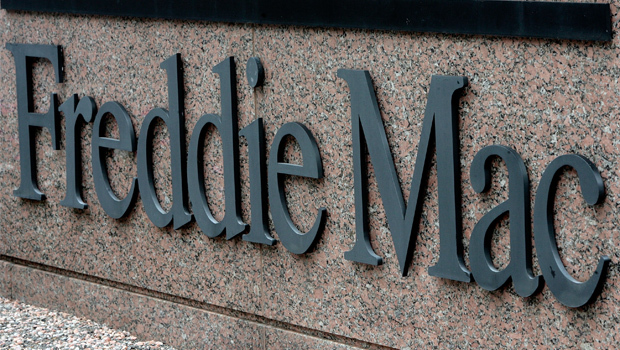 The average qualifying FICO score for a Fannie Mae or Freddie Mac loan has increased by 40 to 50 points over the past decade, from around 710 to 715 in 2001 to 760 by today's standards, according to data in the report obtained by CoreLogic. The report points to "unnecessarily rigid down payment, debt-to-income, and credit score requirements" as one of the obstacles facing potential homebuyers today. The Bipartisan Policy Center is a non-profit organization largely filled by former Democratic and Republican politicians that promotes policy recommendations to Congress and the president's administration. The recommendations must still be adapted by the president or a member of Congress, so it may be a while before we see any of these recommendations -- in one form or another -- pop up for a vote in Congress.